After 500% more rumination than was necessary, I finally decided to add more hay to Hemie’s diet. He’s getting 1 flake of alfalfa hay for lunch in addition to his AM and PM feedings of 1 flake oat + 1 flake alfalfa. For supps he’s still on beet pulp, rice bran pellets, and CA Trace multi-mineral supplement. 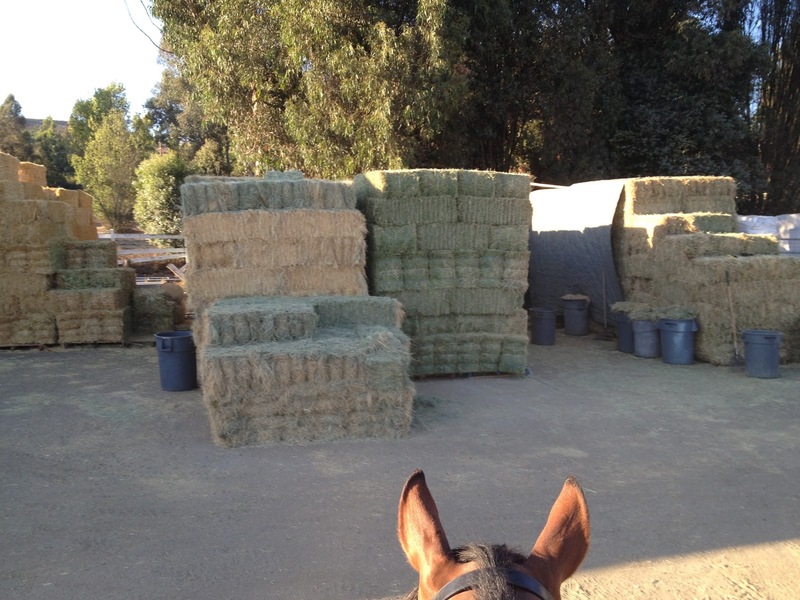 The hay piles at the barn. Thank you to everyone for commenting on the feed posts – you brought up excellent points and helped me reach a decision. It really is helpful to know what everyone else is feeding their horses. Hemie gets more hay and feed than the other horses in our little area of the boarding facility, so knowing that some of you guys are feeding 6+ flakes of hay a day helped me to commit to the extra flake. And now for some randomness. Because it’s Friday. 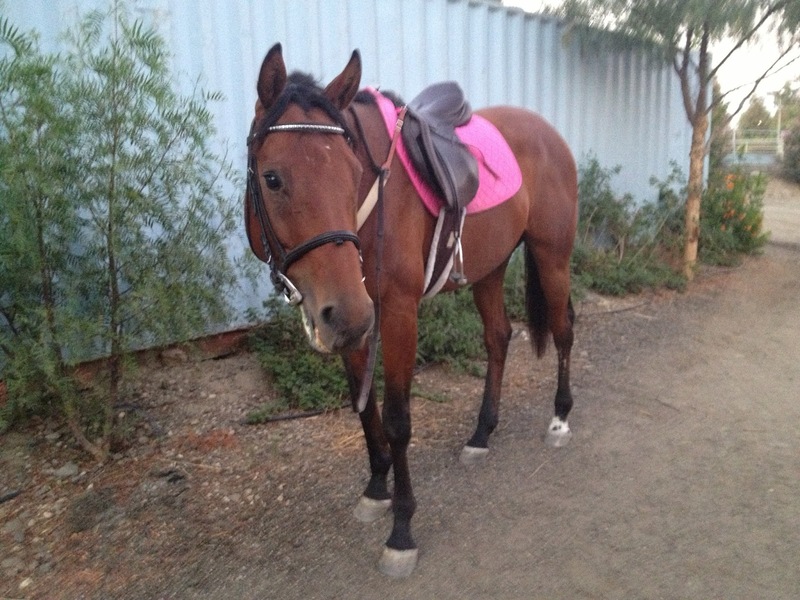 Yes, I make my gelding wear pink and sparkles. 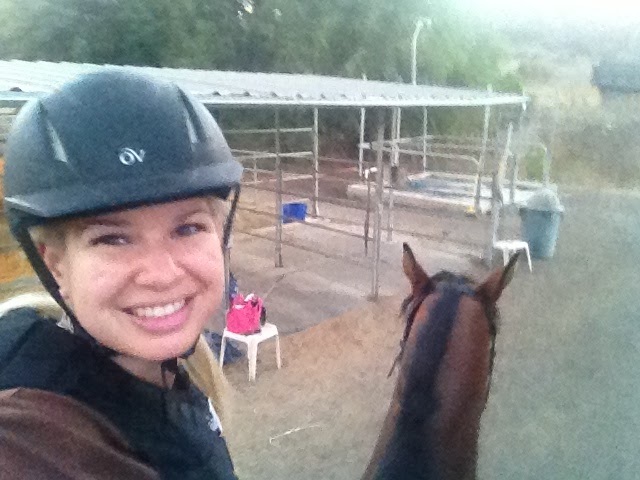 I named the blog Eventing In Color after all. I’m starting to suspect Hemie’s summer activity of hoof soaking is going on. Note the left side rope handle cut and tied to the side panel. Note the blue twine tying the right handle to the pipe. 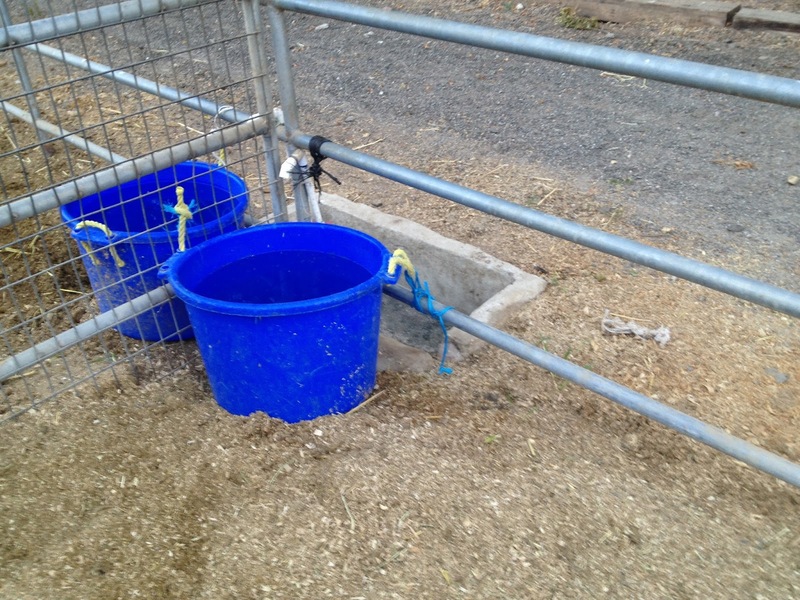 Note black twine near water spigot – appears to have tried (and failed) to hold water bucket previously. Note white twine off to the right which also appears to have tried (and failed) to hold water bucket. Silly pony. But I love that he does that – I think its healthy for his hooves! Henry gets extra hay too every day :) It's helped is weight a lot! I hope the more hay works!